Perfect for your furry friends. Sleek and simple to operate, our pet scales are ideal for domestic and veterinary use. 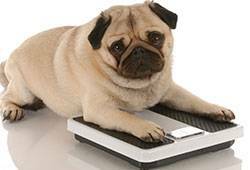 Need to weigh a smaller animal like a dog, cat, rabbit, guinea pig or tiny hamster? Our range of pet scales offer professional standard accuracy and super simple operation. Our pet scales range all feature a large LCD display offering clear, accurate readings even in low light. Our range is battery powered, making them affordable to run and easily transportable. With a host of simple to program such as tare, hold and memory, these scales make weighing a wide range of different animals a breeze. The tare function allows users to deduct the weight of cages and carriers, while the hold function will display the weight of an animal long after they have been removed from the platform. Our smaller pet scales can even be used to weight exotic small animals such as reptiles and birds with a super precise range of up to - / + 10g. Our larger scales have a huge capacity of 100kg, with 50g accuracy, perfect for use with slightly larger pets and farmyard animals like sheep, dogs and goats. Each scale can be easily wiped clean and are designed to be used in vet surgeries, animal trusts, zoos, farms and rescue centres.